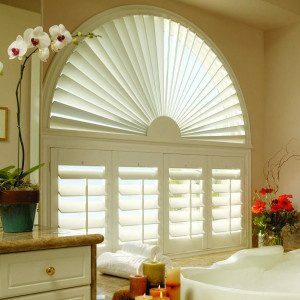 Sunburst Shutters in Minnesota believes in quality window shutters products. We start with quality products. But, the process of transforming your home truly begins with our personalized in-home consultations. We offer an extensive list of handcrafted window treatment products. And, we’re with you every step of the way. When you’re selecting shutters, blinds, or shades, you’re improving your home and you’re making an investment. We stand behind our quality window shutters products and our professionalism. And, we make sure that your investment is perfect for you. 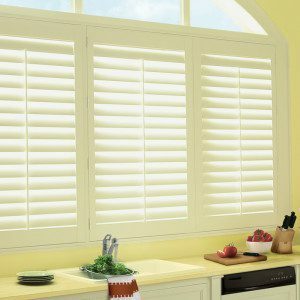 Having served the Minneapolis – St Paul area for more than 17 years, we have an idea or two about the window shutters products that people like you are looking for. We know that plantation shutters offer you the most view. Traditional colonial take up little wall space. And, those beautiful arched and angled windows you love so much? They too can be shuttered with custom shaped shutters. No matter the window, Sunburst Shutters in Minnesota has the window shutters products for you. 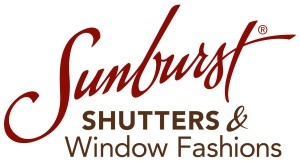 As the authorized dealer of Sunburst Shutters in Minnesota, we are proud to offer you the best brands in quality window shutters. Whether you’re looking for Exus, Graber, Norman, Kirsch, or Sunburst, we will make sure that the shutters you choose fit your windows perfectly with our in-home design consultation. If we listed every window treatment we carried, this page would be too long. Instead, we created this sample for you. For more information on these or other window shutters products, call us at (952) 942-6008 or contact us today.